In the ancient world being a philosopher was a practical alternative to being a christian. Philosophical systems offered intellectual, practical and moral codes for living. 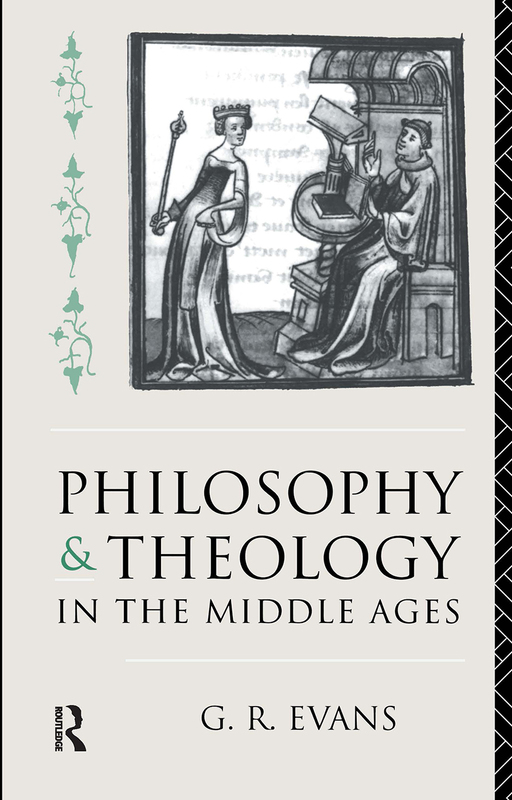 By the Middle Ages however philosophy was largely, though inconsistently, incorporated into Christian belef. From the end of the Roman Empire to the Reformation and Renaissance of the sixteenth century Christian theologians had a virtual monopoly on higher education. The complex interaction between theology and philosophy, which was the result of the efforts of Christian leaders and thinkers to assimilate the most sophisticated ideas of science and secular learning into their own system of thought, is the subject of this book. Augustine, as the most widely read author in the Middle Ages, is the starting point. Dr Evans then discusses the classical sources in general which the medieval scholar would have had access to when he wanted to study philosophy and its theological implications. Part I ends with an analysis of the problems of logic, language and rhetoric. In Part II the sequence of topics - God, cosmos, man follow the outline of the summa, or systematic encyclopedia of theology, which developed from the twelfth century as a text book framework. Does God exist? What is he like? What are human beings? Is there a purpose to their lives? These are the great questions of philosophy and religion and the issues to which the medieval theologian addressed himself. From `divine simplicity' to ethics and politics, this book is a lively introduction to the debates and ideas of the Middle Ages.